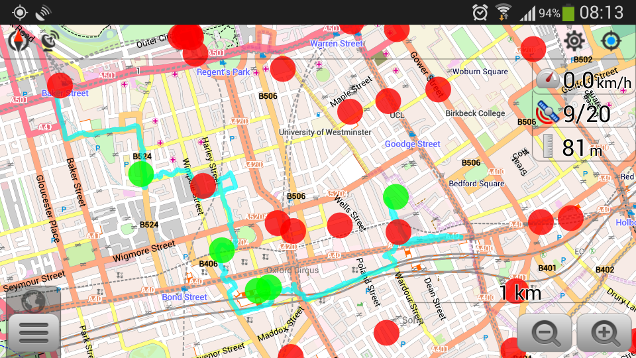 Adding and updating data on OpenStreetMap is fairly easy and available for everybody. But once in a while you don't really have the time to add things to the map, and for those situations OpenStreetMap has the Notes functionality. The Notes functionality allows anybody to add a note to the map with some details of things that are mapped incorrectly, or not mapped at all. This note can be found on the website too. 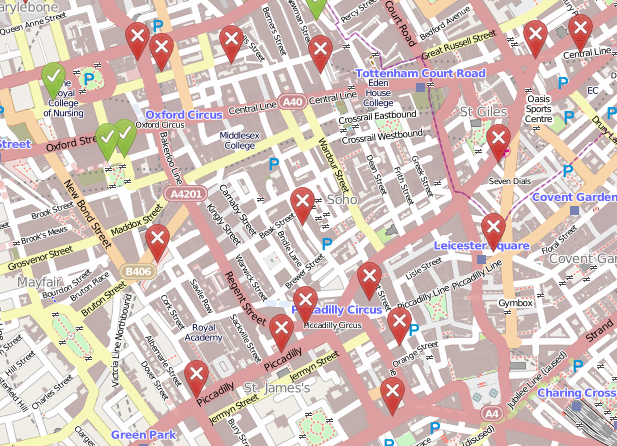 Many of the notes require validation or checking, so I decided to check out a few notes before the most recent OpenStreetMap London pub meet-up. I like walking anyway, so walked from Baker Street towards Oxford Street in a zigzaggy line towards the pub. 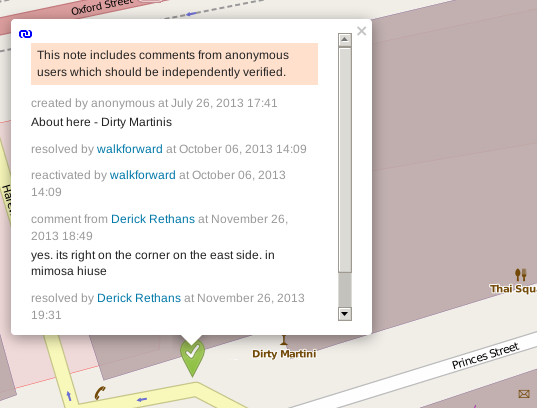 You can see the GPS trace here taken from a screenshot on OsmAnd, which has a nice little Notes plugin/interface. What this also shows, is the 5 notes that I closed (the green dots)! If you have an OpenStreetMap account, and are logged in, you can add comments and/or resolve issues if you know how to edit OpenStreetMap. Maybe you can have a look in your own local area and resolve some notes!